Beautiful lakefront home with 150' of lakefront on 1.25 acres has been completely remodeled. This home offers 4 bedrooms, 3 bathrooms, 2 gas fireplaces, custom kitchen with granite counter tops, Kenmore Elite stainless steel appliances, custom wood cabinetry with soft close drawers, wine rack and cocktail sink, large living room with hardwood floors and fireplace with sliding glass doors going out to a stamped concrete patio with natural gas fire pit overlooking beautiful Lake Erie sunsets. Lower level has bedroom, bathroom, living room with fireplace, balcony off of master bedroom to better see the sunsets . Large garage, shed with electric, emergency generator, high volume tankless hot water system,public water. (Draperies in master bedroom do not stay). This home is a must see! 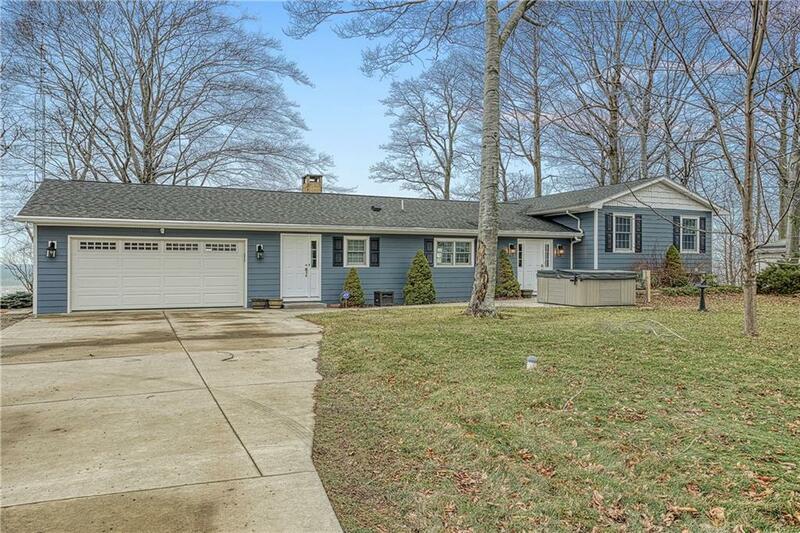 Directions To Property: Route 5 West To 6000 Route 5, Portland, N.y. Lake Side.